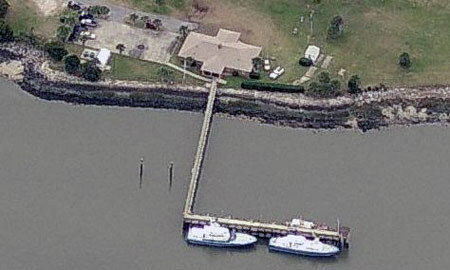 The Savannah River Pilots Association maintains a residence for on-duty pilots at the mouth of the river, on Cockspur Island. After an incoming ship contacts the pilots and a rendezvous is established, the pilots are ferried on one of several pilot boats, up to 12 miles, to the area outside the channel, where vessels wait for the pilots. Savannah River Pilots (also known as “bar pilots”, since they guide vessels around dangerous sand bars) have provided safe passage through the river for almost as long as there has been a port in Savannah. Pilots must not only hold an unlimited Coast Guard license (any ship, anywhere in the world), but demonstrate an absolute knowledge of the river.